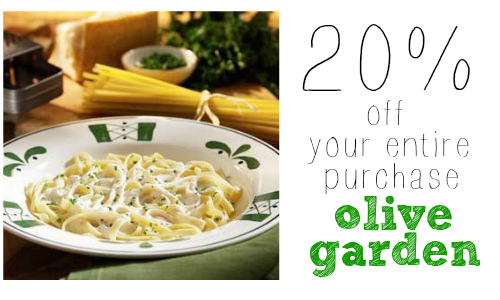 Today only, get 20% off your online order at Olive Garden with the coupon code TVTIME20! Enjoy delicious Italian dishes on the go and save big on your purchase. The great thing about getting takeout with Olive Garden’s new online order system is that once you create your own account (FREE of charge), you can save your favorites so ordering is so much easier and faster. This deal is valid only on to-go orders today only.